FHO3502 is a portable OTDR with stable and durable, which aims at broadcast and telecommunication network measurement. It is also the first OTDR to achieve data share of point-to-point and point-to-multi-point via internet. 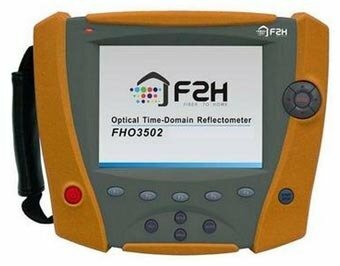 Users can remotely control this instrument via PC when conducting fiber maintenance and testing. •High-speed signal processing, less measurement time, and faster result analysis.